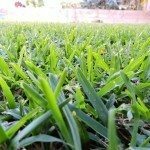 When is the best time to plant centipede grass plugs? Spring is best, but fall is a very close second. The cool weather combined with increased rainfall will help the plugs establish quickly.